All our boxes, paper and tape are included free of charge. You can either pack yourself or take some of the stress out of the process and let our highly experienced staff do it for you. 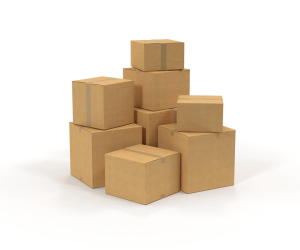 We highly recommend you source your boxes and packing materials from us. All our boxes come from local providers and have been used once and repurposed. This provides an excellent product at a fraction of the cost of new branded boxes (a saving we pass on to you), with no environmental impact. These are perfect for transporting clothes. They come with hanging bars, so you don’t need to fold your clothes and cram them into suitcases. If you choose to move yourself, or perhaps need boxes for tidying up a cluttered loft space or garage, we can help. If you’d like advice about our packing service or want to know more about the boxes and packaging we supply, call a member of the team today on 01823 256546 or message us.